You noted the date when FedEx delivered the package ten years ago. That proud Republic of Ghana inscription. And signed with the obligatory blue ink. 2016. Wow. Ten years to contemplate. 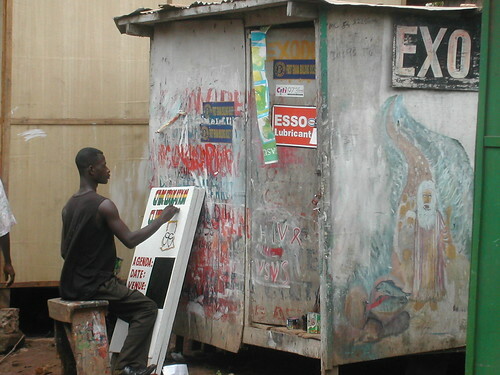 Will Ghana have achieved escape velocity? Developed and escaped mindless poverty? And finally entered the realm of normalcy? Or regressed to the grip of that previous, vicious, venal cabal? Their petty, mercenary corruption typically banal. Will we still be living under the shadow of George W. Bush? 14 months prior to said expiry date. It pays to be prepared, best not to tempt fate. "You can appeal or seek redress at the British embassy"
His message: "Best of luck, there goes your notional residency"
"No budget for printing paper to be spent"
"Unless you've got family connections, you're out of luck." "God help you if yours expires, you'll be stuck"
All Ghanaians wishing to travel home on any emergency, upon request, will be issued with a travel certificate to enable him or her make the trip home. A special letter will be issued to any such applicant to be presented to the passport office in Accra for a new biometric passport to be issued him or her to facilitate the return journey. Finally, we urge all our nationals to bear with us as we find lasting solution to the problem. 18 months spent watching, waiting for said lasting solution. That expired token of Ghanaian identity. You have to put aside thoughts of being funeral minded. And wonder if still others will let you pass through their lands. With this so-called travel certificate"
No recent, non-specific general threat. Or rather, dismay is truly all you have left.